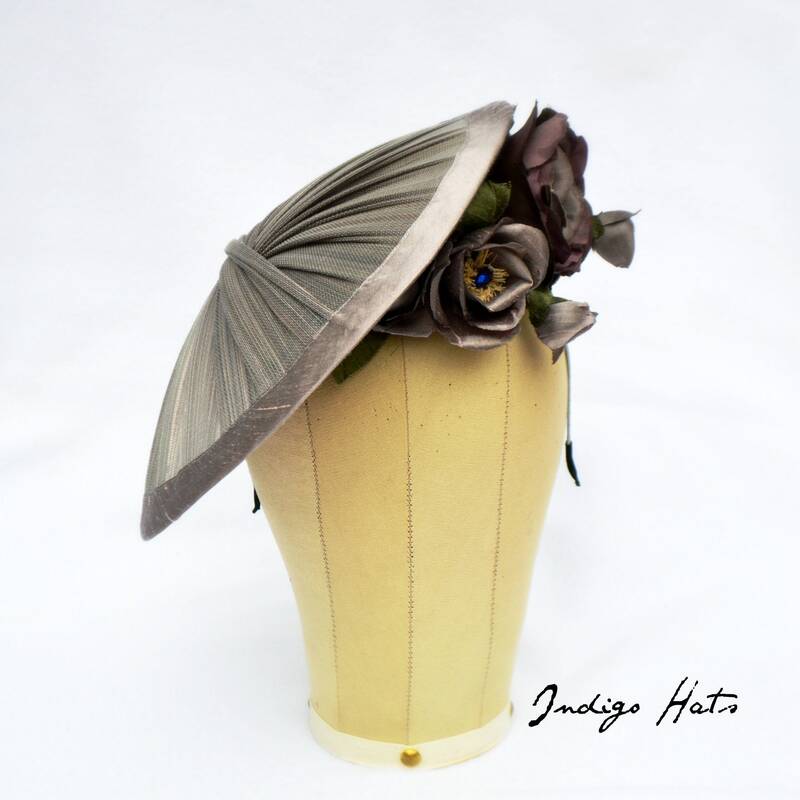 Haute Couture Gray Jinsin and Silk - 11"
I made this stylish fascinator in Jinsin - a luxurious woven buntal straw that has a beautiful sheen and mix of shade of mauves and grays. It has a wonderful sculptural quality it. This came out so beautifully and looks very flattering on. I think it would suit any face shape. 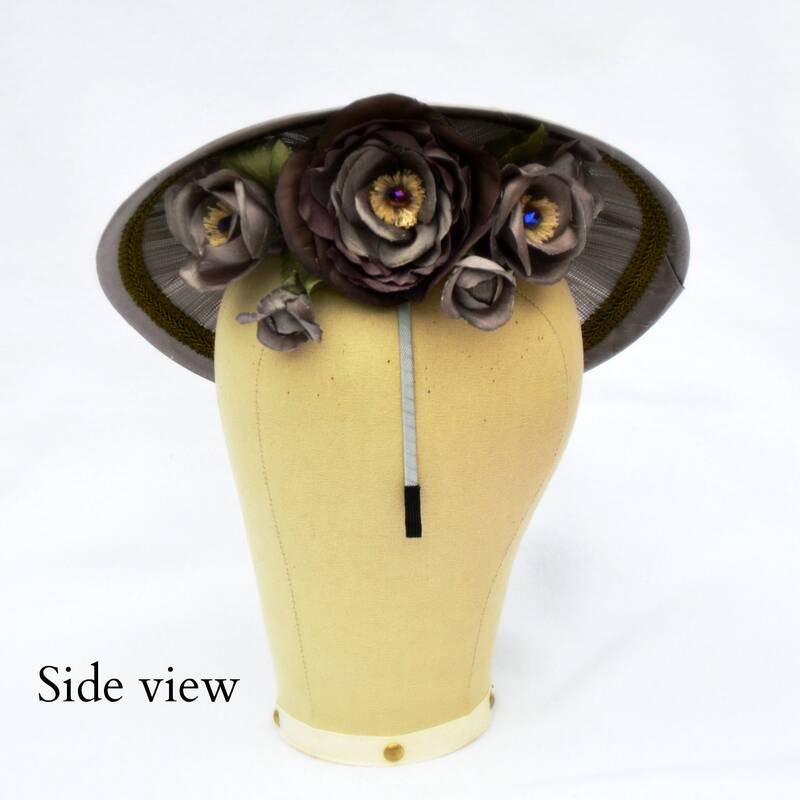 This also has my handmade pure silk flowers, buds and leaves, a French couture millinery technique which involves cutting the individual petals and forming shapes with heated irons. The centers are a lovely irredecent Austrian glass crystal with little silk stamens. 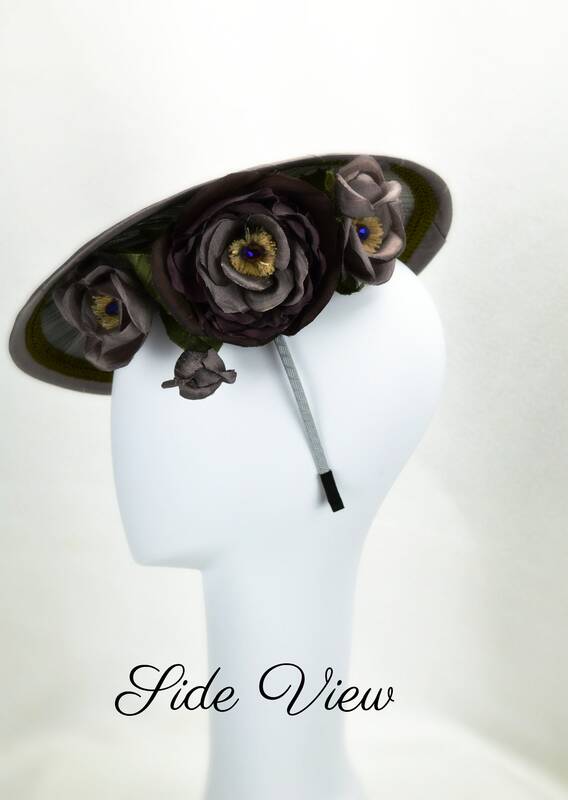 I made the hats edging in the same pure silk so that it would match perfectly, and covered a headband in grosgrain ribbon, it can be on a traditional hat elastic if you prefer. I can make this hat in different colors, feel free to send me a photograph of your outfit so we can chat about the best color scheme for you. I am allowing exchanges as a courtesy. I understand that sometimes a color doesnt work with your outfit or you decide to wear something different, its important to me that you are happy with your hat! However, customer is responsible for cost of shipping UNWORN item WITH TAGS back and also the shipping cost of the new exchanged item. The new shipping will be billed at the standard priority mail rate. 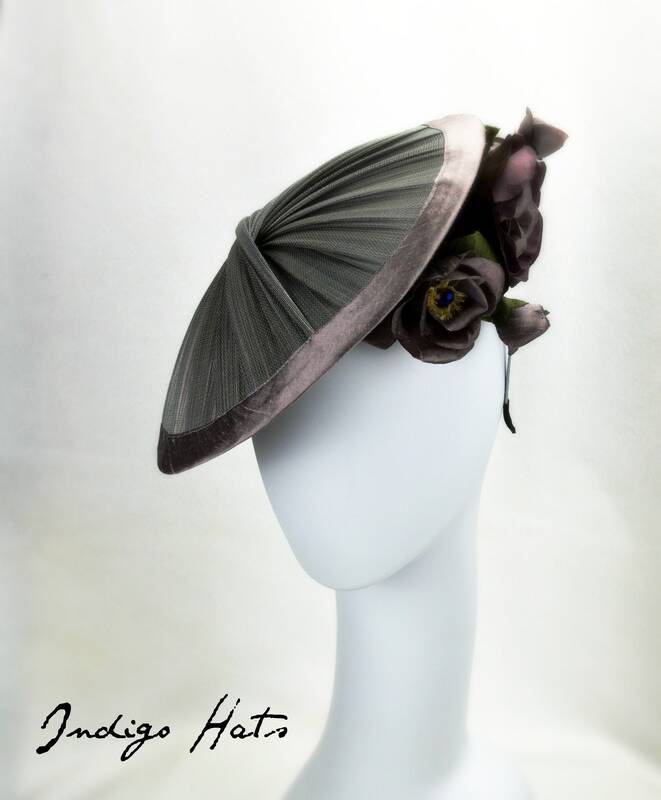 Store your millinery away from sunlight in the box it came in or in a sealed box or container with tissue paper for cushioning. Avoid wearing your hat in the rain or getting it wet. 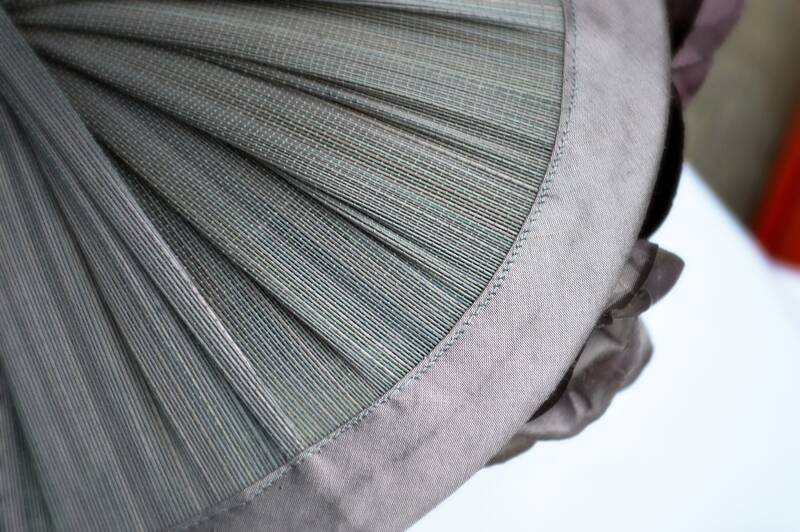 Your hat was created by wetting and steaming straw and shaping on a wooden hat block while drying. 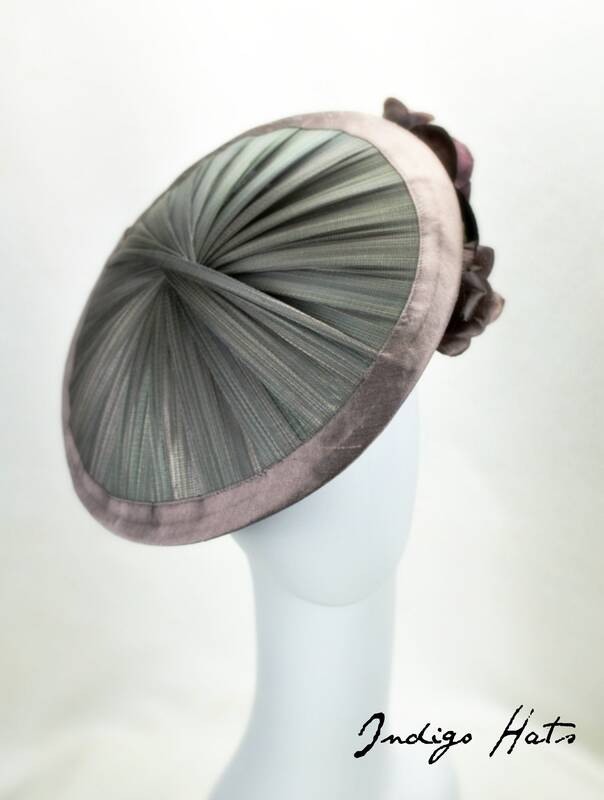 If your hat gets wet while you are wearing it, it may undo the blocking process and distort the shape. 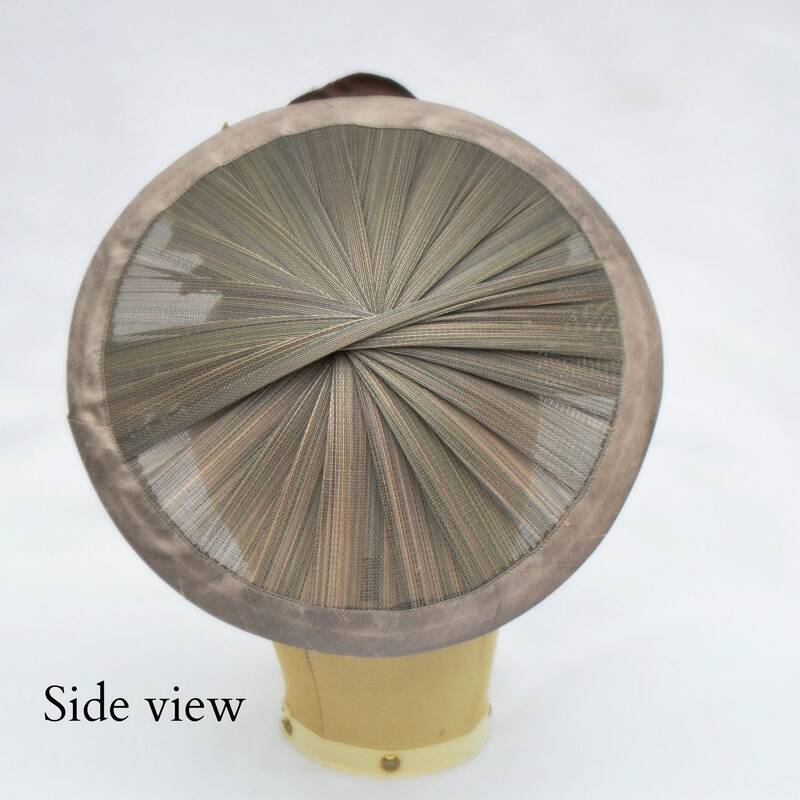 Avoid leaving headwear in hot cars or near high temperatures, delicate materials are used on the headwear and extreme heat may distort or unwrap carefully curled trims. 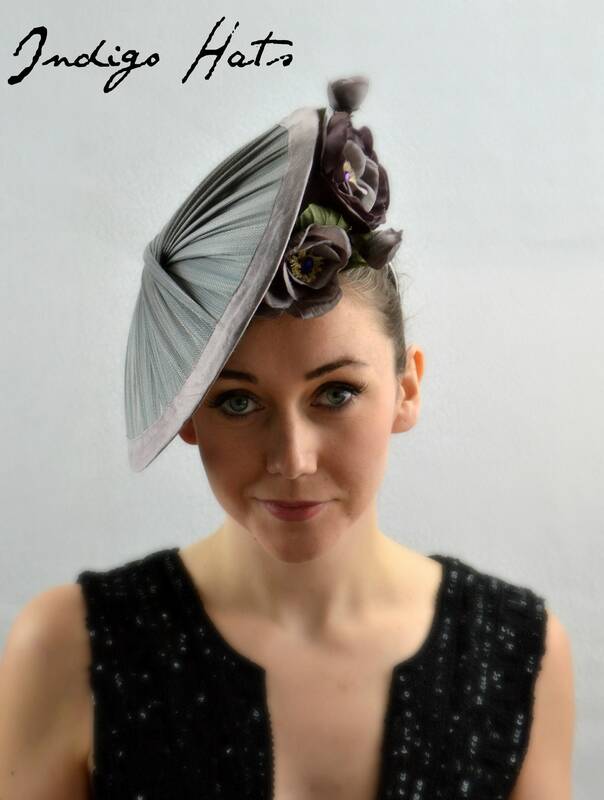 All of my fascinators and headpieces are 'one size fits all' so no measuring is necessary. They are all on traditional hat elastics or headbands. The hat elastics are the most comfortable if you dont like headbands. All of my pieces are sent in a carry box or a hat box. Please let me know if this is a gift and I will be happy to enclose a handwritten card on your behalf. Yes, every piece in my shop is meticulously handmade by me using tradional couture techniques . Help, I need this ASAP! I get that a lot:) Let me know when you need it for and I will do what I can to get it to you quickly. Some hats are ready to go and I can ship them the same day that you order if you are in a hurry. 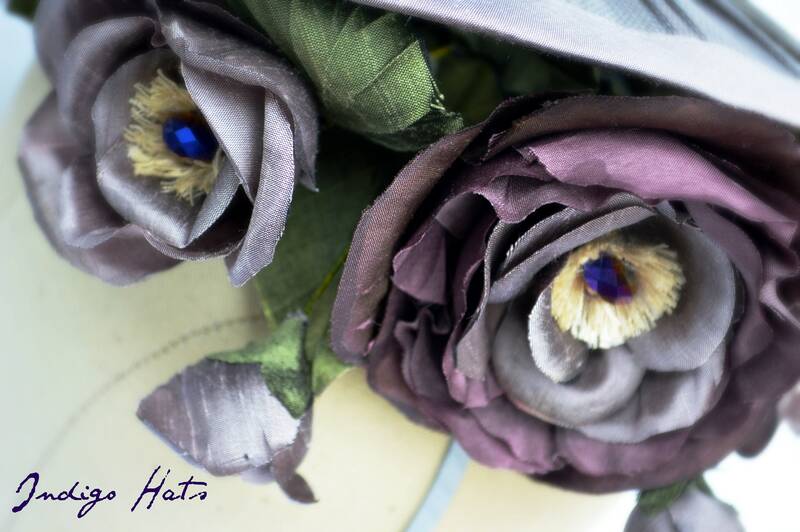 Every millinery item is handmade with love and meticulously inspected upon dispatch. Please let me know if you are not happy so I can solve any issues. 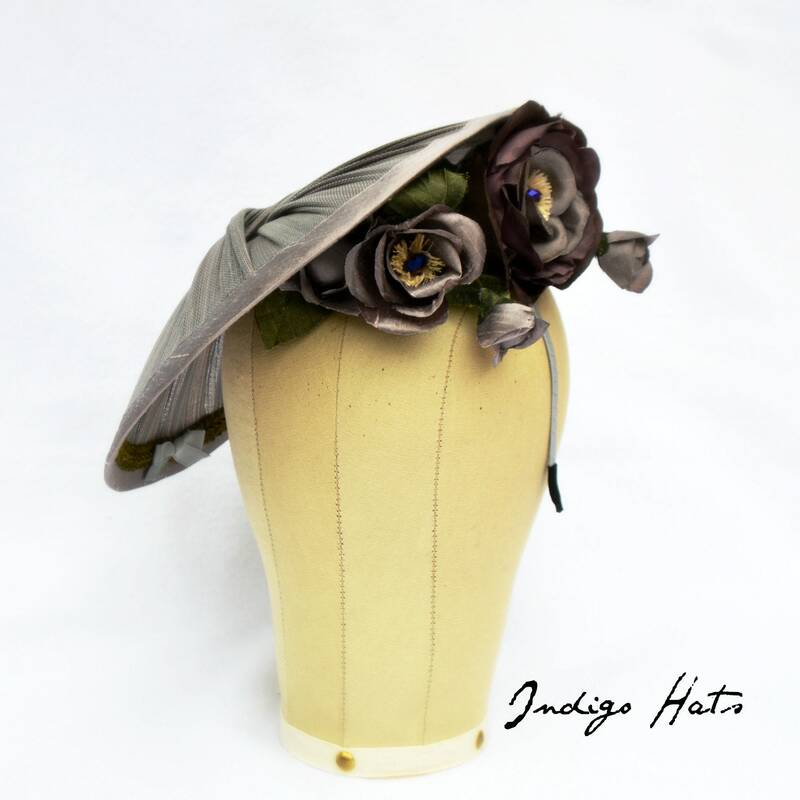 Its really important to me that you are thrilled with your hat and enjoy your shopping experience with Indigo Hats.